Currently Founder and CEO of Swarmverse BigData Solutions Pvt. Ltd., providing Internet Scale Mobile-Social Commerce solutions. A computer science graduate and hands-on techie since 1996. Mr. MJ Akbar, MoS, Ministry of External Affairs, brainstorms with iSPIRT. Mr. MJ Akbar is the Minister of State (MoS) for External Affairs and a Member of Parliament in the Rajya Sabha. An author of several best-selling books, and a veteran Indian journalist who launched newspapers like The Telegraph, The Asian Age and magazines like The Sunday. Mr. MJ Akbar, met up with iSPIRT, in Bangalore to understand the plethora of Technological Breakthroughs that iSPIRT is facilitating to empower more than a billion Indian citizens, by deploying technology in the service of humanity. Mr. MJ Akbar has also agreed to co-create an era of Innovation Diplomacy, by using Software as India’s Soft Power. He provided some very useful advice by participating in interactive sessions for close to 2.5 hours. On Saturday, at ITC Gardenia, in Bangalore, Mr. MJ Akbar, along with Mr. Bala, Jt Secy, and his team, consulted and deliberated extensively, on opportunities that can be Game Changers for Innovation Diplomacy. iSPIRT with its team of Volunteers which included Sharad Sharma, Sanjay Anandaram, Sanjay Jain etc, along with several innovative startups, presented various breakthrough solutions that are helping India leapfrog the West. Below are some of the key highlights of the Learning Session. 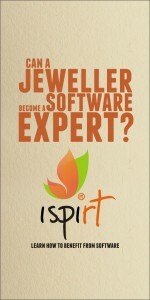 iSPIRT Show-case – INDIA Going from Software Services To Software Products & Platforms. The session started with a presentation by Sharad Sharma on how India is transforming itself to Software Products and Platforms. He explained how iSPIRT with IndiaStack is helping new-age startups to build platforms which will drive formalization of the Indian economy. This will materially enable Financial Inclusion, Health Inclusion and provide access to more than 200 million households, by digitization and democratization of essential services, and in-turn will create millions of jobs. Mr. Akbar’s feedback on this session was that we should highlight stories and narratives which resonate with the aspirational identities of people. Like how did India manage to reach MARS? This was an interesting segway, to then have about 8 startups including Team Indus present their stories. Team Indus, is planning to be the 1st private organization in the World, to land a rover on the moon in Dec 2017. The remaining 7 teams which presented their stories included companies like Pratco, Foradian, Forus, Indian Money, Knolskape, Hashnode, Niramai. Covering Healthcare, Education, Finance, Technology and Medical Devices, these Startups showed how they are helping millions of Indians not only in Tier 1, but in Tier 2 and Tier 3 India, leverage technology, and avail critical services at a fraction of the Global Cost. It affirmed that yes, while America innovated for the 1st One Billion, India can innovate for the next 5 Billion. The last session, was by Sanjay Anandaram, who made an intense pitch, for using Software as an Instrument of India’s Soft-Power. India needed to leverage its highly credible and respected brand in global IT to use effectively for political-economic leverage. The 3 pillars for this could be (a) “Digital Non-Alignment” ie advocating Net-Neutrality, (b) “Governance for Hire” ie offering the India Stack to countries in Asia and Africa for running of their programmes and (c) Software as an integral part of bilateral and regional trade deals. Software was an area where India can outmaneuver China in Innovation Diplomacy. India has the requisite legitimate & moral authority to make software a key instrument of its foreign policy to achieve its political-economic goals compared to any other nation. Empires are not built by Armies, (giving the Genghis khan example), they are built by Technology, Skills and Communication. Why does a country like India, which had such sophisticated science & architecture like Step Wells (Bawadi) even in the 10th century, keep getting defeated? We need to showcase to the World, with good statistics, what we represent in terms of Technology and Communication. We need to highlight to the World that the Frontiers for the Future Lies with INDIA. Knowledge Economy should connect emotionally with the Global audience to realize Shared Prosperity. Mr. MJ Akbar set in motion a few immediate co-creation steps to learn how Innovation Diplomacy can become the bedrock of India’s External Affairs. Being a veteran journalist, he definitely had more powerful narratives to showcase Software as India’s Soft Power. As usual, iSPIRT on its part is fostering and facilitating many such learning sessions to co-create with our Law Makers, and nudge our Policy Makers to help the Software ecosystem. Let us all align our collective vigor to catalyze the effort of building India’s Software Strength to be its Global Soft-Power. DIPP – New Secretary catalyzing the past efforts, for Startup Ecosystem. Mr. Ramesh Abhishek, Secretary of DIPP in a learning-session with iSPIRT. He formerly headed the Forwards Market Commission and has subsequently served as the secretary of performance management at the Cabinet Secretariat. He has been the key driver behind several reforms including the FMC being merged with SEBI. Mr. Ramesh Abhishek, is the new Secretary of DIPP (Department of Industrial Policy & Promotion), following his senior Mr. Amitabh Kant. Mr. Ramesh is now also in charge of Invest India, National Investment Promotion Agency, as well as Startup India campaign. He met up with iSPIRT, on Friday, 10th June, at 91Springboard in Bangalore, participating in a learning-session to understand the plethora of Technological Break-throughs and Policy Transformations that iSPIRT is facilitating for the benefit of the Startup Community. He provided some very useful advice by participating in an interactive learning session for close to 4 hours. The session started with a presentation by Sanjay Jain on the iSPIRT’s jobs perspective. He explained that while new-age startups won’t create many jobs they will build platforms which will drive formalization of the Indian economy. This will materially expand the economy and create millions of jobs. IndiaStack is enabling this transformation of the economy. HouseJoy, NinjaCart and CapitalFloat CEOs shared their own perspective on this change and added to the discussion. The follow-on session, by Shekhar Kirani, presented how INDIA is becoming a major player in the GLOBAL Software Product Industry and how Startups from INDIA are disrupting some major players. Subsequently Unbxd, ShieldSquare and Hotellogix discussed their own journeys and added depth to this discussion.. The most intense session was when Mr. Venkatesh Hariharan presented the Patent & IPR Policy Details, If we have to unleash India’s true innovation potential, India needs to remain a no-software-patenting jurisdiction. Only then can it capitalize on its mathematical foundations, and keep away the patent-trolls. This last session was by Sanjay Khan and covered the progress around the Stay-in-India Checklist. Mr. Abhishek was very impressed by the progress that has been made and reiterated his commitment to get the remaining items on the Checklist resolved. He agreed that stopping exodus of new-age startups is very critical to the success of the software product ecosystem. Startup-Hub as part of the Invest India program, should be supported and adopted with good ideas from the Startup Community. DIPP will address Startup challenges quickly in aget time-bound manner. DIPP wants to so much more, so iSPIRT should continuously engage with it. 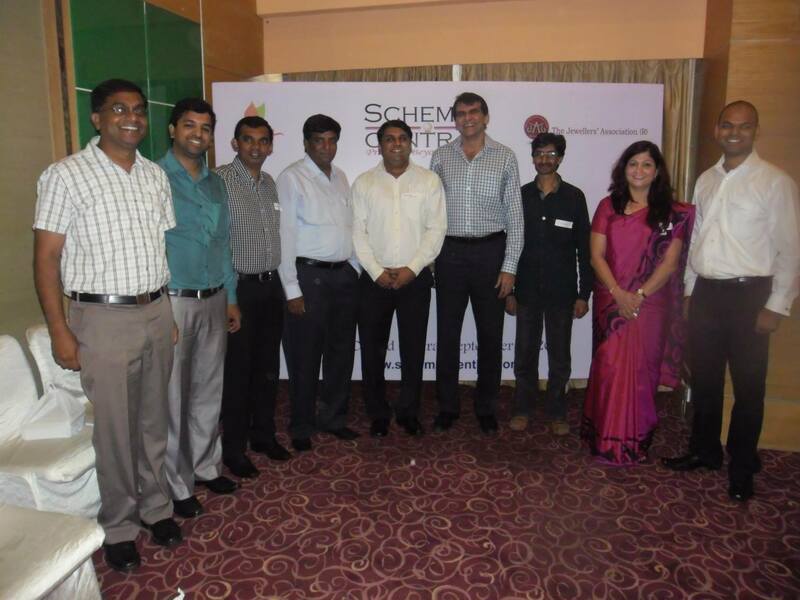 Mr. Ramesh later proceeded to visit some Hardware and software Incubators in and around Bangalore. Mr. Ramesh Abhishek went away with a deep understanding of the forces changing India and the landscape that is emerging. was very impressed with the body of work presented to him. He stressed that this Government wants to go much more. iSPIRT on its part is fostering and facilitating many such learning-sessions to nudge Policy Makers help the ecosystem, and bridge the gap of Intellectual distance between Delhi and Bangalore. Let us all move-the-needle with collective vigor to catalyze the effort of building India into a Product Nation. Sh. Amitabh Kant, Secretary of DIPP brainstorms with iSPIRT. He is the author of the book Branding INDIA, a key driver behind many successful branding INDIA campaigns like Make-In India, Incredible India, and Athethi Devo Bhava (Guest is God) campaigns. He is a decision maker par excellence and above all the Secretary of DIPP (Department of Industrial Policy & Promotion). Mr. Amitabh Kant. who is now also in charge of Startup India, Standup India campaign, met up with iSPIRT, in Bangalore to understand the plethora of Technological Break-throughs and Policy Transformations that iSPIRT is facilitating for the benefit of the Startup Community. He provided some very useful advise by participating in interactive session for close to 2.5 hours. Prime Minister Mr. Modi in his Mann-ki Baat radio address had announced that the Start-Up India, Stand-Up India initiative will unfold on January 16. The initiative will be anchored by the Department of Industrial Policy and Promotion (DIPP). Mr. Amitabh Kant, and his team consulted and deliberated extensively, on opportunities that can be Game Changers for Indian Startups. 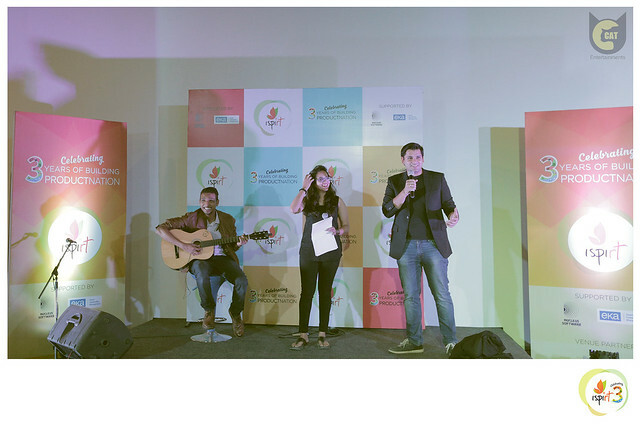 On Tuesday, at Shangri-La in Bangalore, iSPIRT with its team of Volunteers which included Sharad Sharma, Co-founder of iSPIRT, Sharique Hassan from the Stanford Graduate School of Business, Shashank from Practo, Sanjay Jain from Ekstep, Jas Gulati from Nowfloats and other volunteers, presented the INDIA STACK, PNGrowth and various other Leap-frogging breakthroughs which will help INDIA innovate for the next 6 Billion people. Below are some of the key highlights of the Session. The session started with a presentation by Sanjay Jain on IndiaStack, a suite of technology-led services, currently being developed to solve identity, payments and personal data management for all Indian citizens. It was followed by Shashank from Practo, about Healthcare, which highlighted how Accessibility and Affordability is helping Health care reach the masses in INDIA. Mr. Amitabh’s participation on both these were highly involved, and he pointed out how States like Rajasthan have taken a pioneering approach, especially in Healthcare. He was quick to point out that if we can create a FEW champion states adopting the IndiaStack and its suite, the rest of the states will quickly follow. This was followed by Jas Gulati presenting both the book and details around Digital Desh (Impact of Internet on Indian MSMEs).. It was clear that 2nd Tier and 3 Tier India is waiting to explode and join the Internet and Digital revolution in INDIA. iSPIRT also presented its SPiX Index and M&A initiatives helping Quantitatively track the progress and market growth of Indian Startups. The most intense session was when Mr. Sharique Hassan presented the PNGrowth Initiative Details. China has had an exponential growth in Innovation in the past 15 years, and India now has the Opportunity to repeat the same. However to unleash India’s innovation potential, INDIA needs to capitalize on the Founders hunger and also harness the Institutional assets created by Educational Universities like Stanford, Harvard, Duke etc. Mr. Amitabh was very impressed by the PNGrowth agenda, and commented that it would make an Orbital shift in the Organizational Skills and Strategic Thinking levels of Entrepreneurs in INDIA. He wanted such programs to reach all academic incubation facilities in INDIA. If Indian Entrepreneurs focus on Fundamental Science and if they can create a competitive advantage, Mr. Amitabh felt that there was nothing stopping us from leap-frogging the WEST. He was immensely supportive to all programs and in-fact extended financial support for PILOT Projects in various spheres discussed. However, he had 5 important pieces of advice. Pilot projects need to achieve success in at least some corners of INDIA. Nothing Succeeds like Success, so it was imperative that we quickly implement ideas. Institutional Mechanics will follow Innovation, there are several District level funds, MP Lad Funds and also Innovation Funds. Startup challenges can be addressed quickly by Joint Inter-ministerial committees provided we can carve out clear definitions and scope for those challenges. Policy Levers will respond to fast changing needs of Startups. Startup India, Standup India will make sure that ease of doing business is a top priority. Mr. Amitabh Kant was highly impressed with the body of work presented to him. He said that everything from Challenge Grants supplementing the various RFP tendering processes, of the Govt, to the Inter-ministerial committees quickly acting to enable the Growth levers, were geared to make sure that the Startup Entrepreneur is successful. iSPIRT on its part is fostering and facilitating many such conversations to nudge Policy Makers help the Startup Ecosystem. For the Entrepreneurs, its now up to you to Stand-up and Start-up, to create a new dawn and a new beginning. Happy 2016 to all change makers! So what is Culture? Does Organizational Culture matter? Culture is about living your values, every single day. From an Organization’s stand-point its a way of working that ensures that critical operating values persist at all times. Some of you might already know the importance of Company Culture or Organizational culture, I will however enumerate, the most important effects of having the RIGHT culture. Culture helps Build Social Capital (Good will) ahead of Monetary Capital. Culture helps REFINE your GOALS & helps you build long-lasting Organizations. Organizational Cutlure hence matters immensly. So, what should be your Company or Organizational CUTLURE? While I am not an anthropologist or an Organizational Psychologist in any regard, and I do not understand the nuances of all Organizational Cultures & their importance in the economic function, its imperative that I comment on Software & Product Organizations, specifically with regards to employees helping each-other & their Culture towards Contributing to Communities. THINK Opensource or think Volunteer Communities. Before doing that, our track record says, its not a CULTURE for INDIAN Software companies and Software programmers to contribute to Opensource communities or Volunteer Communities. If within any organization as an employee, we believe in helping each other, then why don’t we think about doing the same outside of our work? Do we really empathize at WORK, & believe in the CULTURE of selfless giving or do we do it, because its a GIVE-and-TAKE inside a company? Have we ditched our own Culture of Karma? Have we become too Individualistic, and think its NOT our JOB, to do even small community chores? Why is Culture needed? Why should we put Culture FIRST? Almost every Lean method today is about empathizing with the Customer, keeping the Customer-centric view first and then rapidly building tools, products, services, etc. Customer Development is a priority, rather than Product Development. Empathy is a Core-Cultural construct of today. Come to think of it, our entire Indian Cultural ethos is based on Empathy. “Karuna” is the foundation of almost every teaching in our country. Indian institutionalization and Orientation has Empathy by Design. Why is it, that we have not built community products, community services & community experiences that cater to the needs/wants/aspirations of people, when there is Empathy by Design in our culture? Tough questions to answer universally or generally. However focusing on Software and Services, I think we have gotten too-carried away with MOBILE FIRST & MARKET FIRST Culture, rather than thinking ECO-SYSTEM & COMMUNITY CULTURE FIRST. Business Ecosystems today emphasize a lot on Monetary Capital, but empathize little about Social Captial. We have become too focused on Systems, Processes and Technology, rather than addressing the concerns of people. That should explain why we have failed to reciprocate to the needs of people around us. Fellow Customers/Consumers/Citizens are the first GOD. When we truly realize this Consumer-centric view, we quickly understand that no single Organization with all its Monetary might can take care of all the needs of the Citizen/Consumer. Individuals & Organizations need to have a Culture to collaborate with other Partners, and build Social Capital first. They need to put Culture as a priority in building Ecosystems. Culture By Design – Can Culture be Designed? YES. One needs to focus on their core values and the specific outcomes they want to produce. Some of the values that help in having a long-lasting Culture are simple. Producing Collective Public good is more important than Individual Private Profits. The Collective-Mindset needs to be at a higher priority than Individual-Mindsets. The Ecosystem Focus is critical than the narrow-focus of just One Organization. Let me go a little further, your Cutlural design many times will be simple to Understand, Implement and Follow, but will have far-reaching behavioral outcomes. Focus on seemingly trivial Individual Behaviors. Here are 2 simple Cultural Design Elements, that focus on Individual behavior in an Organization. Acknowledge Individual Short-comings at all times. Seek help from the Community/Crowd to fix those short-comings as fast as possible. All major companies like Google/Facebook and successful Open source Organizations actually practice the above 2 cultural design elements religiously. Below are a few examples. We are all flawed. Software products are also imperfect ideas, and need to be tested locally, and refined continually. Having a culture designed to help take IDEAS or PRODUCTS go past their imperfect states & attain Global Standards, requires a Culture of Openness, of being able to work with Others to fix individual shortcomings. We are a country blessed with Empathy by Design. We are a nation that believes in Karma. So, fellow Entrepreneurs, if there is one CULTURE that we need to re-learn, it is to contribute Selflessly to Communities and Ecosystems around us. We at iSpirt and ProductNation fundamentally believe that “You will get all you want in LIFE, if you help enough other PEOPLE, to get what they want”. The future is a world where, while enriching others, you will enrich yourself. iSPIRT volunteers and Community Mavens are there to help you build this Culture and are more than happy to be cheerleaders from the sidelines! Part 2 of this culture series will provide insights into Codifying the iSPIRT Culture. SEBI & iSPIRT Discuss Modernized Online Platform with Tech Startups and Securities Market Intermediaries. On 15th October, Mr. U.K. Sinha, honorable chairman of SEBI, had a more than 4 hour meeting with iSPIRT. The goal was to lay the ground-work for a new approach to Paperless and Presence-less Distribution Model enabling a 10X growth in the number of people buying Mutual Funds. The iSPIRT team was chaired by Nandan Nilekani and included key members of its Open API Expert Team – Sanjay Jain, Pramod Varma and Sharad Sharma. Several Tech Startups like Scripbox, FundsIndia, Perfios, Eko, PolicyBazaar, BankBazaar, Flipkart and Eko participated in this interactive session. Many Securities Market Intermediaries comprising of representatives from HDFC Mutual Fund, Birla Sunlife MF, Quantum MF, CAMS and KARVY also attended the meeting. Nakul Saxena, Fellow Policy Initatives, coordinated the meeting on the iSPIRT side. From SEBI’s side Mr. Amarjeet Singh, Mr. Sujit Prasad, Mr. Ravi Kumar, Mr. Rajesh Gujjar and Mr. Vimal Bhatter also participated. 1. Regulatory track for simplifying the various processes for Investor participation. There was intense discussion around simplifying or re-engineering the Onboarding process of Retail Investors. It noted several ideas to remove IPVs/wet signatures, speeding up the KYC processes via KRAs’ (KYC Registration Agencies). 2. 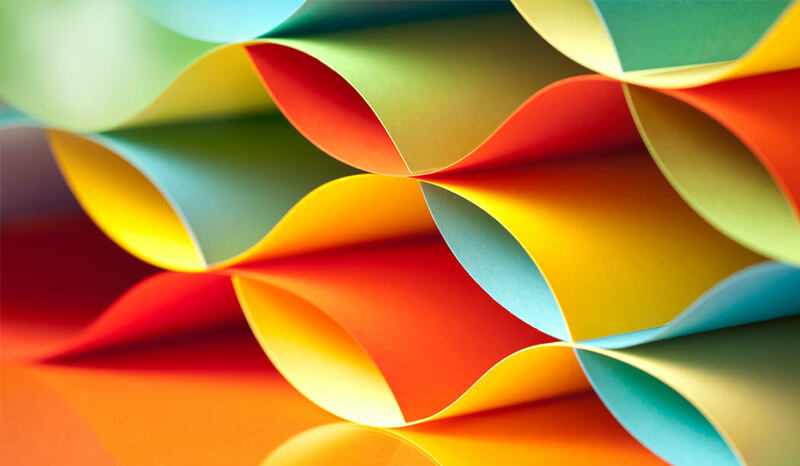 Technology track focused on providing a paperless and presence-less Online Technology Infrastructure. This was about leveraging the “India Stack” for lowering the onboarding costs almost 100X. 3. Market track focused on enabling streamlining the Distribution Model for increasing the Retail Mutual Fund Investor base. Several ideas around how to increase Investor trust, lower cost of customer acquisition and provide for an Online Only Distribution model were discussed. It was a very productive working session. There were many learnings for all participating including Tech Startups and Securities Intermediaries. Pilots will now be undertaken starting mid-November. Its now becoming even more apparent that INDIA will leap-frog the WEST in its Digital Platforms particularly in the Banking and Finance sector. Brace yourself, as we might be entering an ERA of hyper-growth fuelled by JAM (Jandhan, Aaadhar and Mobile) that is powered by the “India Stack”. iSPIRT will talk more about this impending change in the coming months. Chief Economic Advisor is Infected Positively by the Irrational Exuberance of Indian Product Startups. Mr. Arvind Subramanian, Chief Economic Advisor to the Government of INDIA, has been named as one of the world’s top 100 global thinkers by Foreign Policy magazine. After stepping into the shoes of Dr. Raghuram Rajan as Chief Economic Advisor, he is also a widely cited expert on the changing Balance of Global Economic power, as it pertains to INDIA & China. He is also the author of “INDIA’s TURN: Understanding the Economic Transformation“. Mr. Arvind specially travelled to Bangalore to interact with software product industry and discuss policy with the the policy team of iSPIRT Think tank. In the 4 hour meeting, the energy that emerging companies brought out with each presentation was amplified as the discussion progressed. In the end, I must admit that there was a euphoric feeling that this movement of creating public goods with the Social Commons model is really on-to-something BIG! Not all elements of the session can be reproduced here, but this article is an effort to provide you the important highlights. What was so Infectious? Its the Mirror Neurons, Stupid! In the first session, as it has become customary, about 8 carefully curated product startups which started in INDIA, with audacious aspirations, and which have already made significant GLOBAL impact while still retaining their Indian-ness, presented their stories. Almost every story was about Product Entrepreneur’s who dared to dream BIG, not just from themselves but for leap-frogging INDIA and the world. The Goal set out for the session was to show-case the behind-the-scenes transformation that is taking place in the software Product Industry landscape. The Irrational choices of many Entrepreneurs were show-cased in their business avatars, as NowFloats, Uniken, Tally, Forus Health, Team Indus, FreeCharge, SnapBizz & Ezetap. While the strategy choices seemed Irrational, the success these business are having today, and the impact they can have tomorrow to reclaim India’s glory was self-evident. The outcome of the session was remarkably different from the goal the session set-out to achieve. What became apparent as the session progressed was the infectious effect it was having on each participant in the room. It was as if the Mirror Neurons from these passionate Entrepreneurs was affecting not just the minds, but it was affecting our Inner Spirit. The Infectious nature of the session’s outcome in many ways mirrored the outcome of these businesses. What is the Cure? More Infection. Make India Go Cashless. In a thoughtful next session the discussion moved toward more earthy and material realization of how Technology & Infectious energy of the startups can be leveraged to leapfrog INDIA. This discussion was about how to make India Go Cashless in 4 years. The benefits of going cashless are many. It can expand micro-credit to small businesses in a big way, for even street-hawkers (Thelewalas) to be able to digitally get credit and also seamlessly receive money from customers. Sanjay Jain (iSPIRT Open API Expert Team member, former Chief Product Officer of Aadhaar) and Abhishek (iSPIRT Colunteer, CEO Eko) presented a comprehensive approach and suggested a new Program, Jan Samridhi, for the Government. This builds on the Open API work that iSPIRT has already done (in eSign, UPI and GTSN) and proposed specific and inter-related policy and regulatory changes. The only real way of achieving this is to have more agencies in the Government, the Regulatory institutions and people to participate. So in effect, the cure really is to infect more people with the Spirit of Social Commons. The discussion clearly bridged some the intellectual distance between Delhi and Bangalore. Mr Arvind, in his own-words was blown-away with the enthusiastic zeal and business performance of the Product Startup Ecosystem. He however was also clearly in his elements as he carefully constructed the broader picture by taking the various elements from the Individual presentations. Some of his suggestions and advice to the Startup community were as follows. How soon can we marry the Private Entrepreneurial zeal & Public Goods created by such movements? Can we use and leverage the existing products automating, say, Govt Fair Price shops? While mildly chiding Product Entrepreneurs to dream even bigger by including Government, he asked if we can help realize other broader over-reaching goals like Government Technology Platforms for Expenditure tracking? He even offered to visit Bangalore and participate 2-3 times a month in various such initiatives to enable routine conversations with Policy Makers and Entrepreneurs. The entire program was highly Interactive, Infectious & Confidence building. It gave a sense that may-be within 4 years we can Make India go cashless. It also re-affirmed the new Paradigm of creating Public Goods with a Social Commons approach (Open source approach). It is important to co-create a digital INDIA, not just with the Entrepreneurial zeal, but by getting Government and Institutional bodies involved as well. These Infectious power-packed dialogs that iSPIRT is fostering will help us rewrite the script of our Nation, and will help us reclaim its lost Glory. We will become a Product Nation soon, it seems inevitable. Be a part of it now. Go ahead, spread the INFECTION, not just the word. Today we are already in the Experience Economy (Its Apple like experience, its not apple like products), but as professionals we are still grappling with how we build Products, let alone scaling the Economic activity to be staging experiences and guiding transformations! While I am not an economist in any regard, and I do not understand the nuances of all industries and their current economic function in India (Are we building products? Are we providing services? or just plainly selling commodities? ), its imperative that I comment on only Software and Services. Before doing that, on the Gandhi Jayanti day, I would like to introspect what our Father-of-the-Nation tried to teach us, by emphasizing on making our own Salt, our own clothes with the Swadeshi Movement OR with his services at the Sabarmati Ashram. Essentially he articulated with his actions what our present day government is campaigning for “Make in India”. How did Gandhi understand the evolution of Economic activity more than a 130 years ago? Come to think of it, our entire Indian Cultural ethos is based on Empathy. “Karuna” is the foundation of almost every teaching in our country. Indian institutionalization and Orientation has Empathy by Design. Then how is it, that we have failed to reciprocate to the needs of People? Why is it, that we have not built products, services, experiences that cater to the needs/wants/aspirations of people, when there is Empathy by Design in our culture? Tough questions to answer universally or generally. However focusing on Software and Services, I think we have become too focused on Systems, Processes and Technology, rather than addressing the concerns of people. We have gotten too-carried away with Western philosophy of Professionalism, which emphasizes a lot on Systems, but empathizes little with people. Let me give you a more concrete example. High exploratory and high mortality nature of software projects is like an Industry Standard. 9 out of 10 software initiatives don’t go anywhere, seems to be an easily accepted norm. All the cash-rich service majors in IT/ITES industry have not re-deployed their capital to building an Indian Apple today, because they seem to have accepted that Software products have a 9 in 10 chance of mortality. However what they have failed to realize, is all Lean Methods today propose Customer Development first, rather than Product Development. Build it and they will come, is almost an era of the past. Every Agile and Lean technique today is about keeping the Customer-centric view first and rapidly building tools, products, services, etc which empathize with the needs of people. India however has a renewed emphasis on the Swadeshi movement. Its now called Making In India. Every body is now encouraged to make their products in India. However, I would like to draw your attention to Gandhi’s philosophy again, which has found a new meaning, with the Lean and Agile world. Customer Development is more important than Product Development. Let me go a little further, the first realization all product entrepreneurs need to have is this “Customer is the Product”. Your product is just a medium/abstraction through which, you continuously develop your Customer. Stop fiddling with the Features and Benefits. They are the HOW and WHAT for your Customer. WHY the customer does anything with you and your Product, is essentially what we need to understand. Making In India, is all about making the Customer or Consumer in India happier, healthier and wealthier each day. Do you have a plan for this? Why should you think about Making in India, is it only for Export? Well, here is why. All new ideas, new software product ideas are imperfect ideas, and need to be tested locally, and refined continually, before we can think of exporting. India today lacks any credible domestic infrastructure or support, to even make little bets, so ideas never go past their imperfect states, and hence never attain Global Standards. So, lets make and try it here first. We are a country blessed with Empathy by Design. We are a nation which puts Emotions ahead of Professionalism. We are a nation that believes in Darshan (of all deities). Truth is, Customer is the first GOD. So, fellow Entrepreneurs, if there is one Gandhigiri that we need to learn, it is to do a full-darshan of every customer, their needs, their wants, their aspirations. We now realize Consumer Development is as important, if not more important than Product Development. Is’nt it then, not automatic, that building a Consumer-Centric Nation, is the first step to building a Product Nation. Lets go and create this change, and let initiatives like iSPIRT and ProductNation be the inspiration through which we can channel our aspirations and ideas. Happy Gandhi Jayanthi to all! Read the Part 1 here Gandhigiri to the Software and Technology Entrepreneur! Sachin Tendulkar has Retired. Can we now convert a Cricketing Nation to a Product Nation? All Institutions seek to influence the behavior of people. Nasscom Product Council and iSPIRT today, are associations, which as Institutions are seeking to influence the consumption and production behavior of Software and Technology offerings in India. Our nation is in a dire need of grass-root level, production of value-added goods/services/experiences and its consumption. As articulated previously in Gandhigiri to the Software Entrepreneur, the industry and market developments further command that we dig deep and bring our Nation back on track to be known as Incredible India. Can iSPIRT influence the mindset of an entire nation towards Products via Education and Information? What initiatives are responsive to the needs and aspirations of a budding young India? Are we in unchartered waters? No, we are not in unchartered waters. For the past 24 years, one man showed how he can influence the behavior of a Nation. Every time he went out to perform his duty, the nation watched. But alas, all good things come to an end. If there is one silver-lining with Sachin Ramesh Tendulkar’s retirement, it is that now, we can all focus on doing our jobs. However, can we work with the same level of passion, intensity and commitment as the master-blaster? There is a lot we have seen about the Internal motivations and abilities of this man who mesmerized the nation and we all just indulge in the religion of cricket, when he is playing. But how many of us realize, how BCCI the Institution behind Cricket in India, has had an equally important role to play. What role has BCCI played in influencing the behavior of the Cricketing Nation? Are they not the ones that control the entire apparatus to influence? Are they not the Institution that responsibly influences cricket lovers, and have they not effectively done it in a sustainable way? The answer is an emphatic YES, and its anybody’s guess. What are the lessons we can learn from BCCI? Let us look at some basic things which BCCI does brilliantly. Crowd Sourcing and Talent Recognition: Players from all over the country are crowd sourced, and are carefully curated and recognized for talent. Incubation and Mentoring: Provide Academies where the talent, can then get nurtured to a product-offering and help them attain international standards. Organize Marketplaces: Enable opportunities for the product-offering to be show-cased – Whether it is the One Day matches, IPL, Champions League or other matches. Each Match Venue is an Offline “marketplace”, and each match streamed is a Virtual Marketplace, either on Television or on the Internet. Maintain a Monopoly: Kill Competition (this strategy however is questionable and debatable). So, what can we learn from BCCI? Do we focus on the Structures, the Processes and the methods that they have employed to institutionalize the religion of Cricket? No. Focus on people. The key takeaway is, Sachin was once a consumer of Cricket, just like all of us. He was later transformed into a Product by the exogenous support of an Institution, and of course with his endogenous hunger, hard-work and determination. We now understand how both the internal motivations of Sachin, and the external support of BCCI captured the imagination of nation. We now know how a game meant for amusement, became a religion universally adopted by the length and breadth of the country. We now understand how Sachin became the GOD of Cricket. How do we go from a Cricket Pitch to a Startup Pitch? How do we become a Product Nation from a Cricketing nation? How do we find the GOD of Products? Do we not have enough Entrepreneurs who are as hungry, as dedicated and as hardworking as Sachin? In fact in our field, we have both Men and Women who can become the God of Products. Can an Institution like iSPIRT not influence the same level of commitment and passion towards building and selling products, like BCCI did for Cricket. Yes it can! There is nothing new in the idea of influencing a Nation. But there is certainly something new in what we know about, how best to do it. Lots of research and studies, especially in behavioral economics and behavioral science show that approaches based on Education and Information do not actually work as well as intended. Education is a two-way street, only 50% of the work is done by the Provider. The other half, which is the art of Internalizing the Information and Education, and putting it into everyday practice, is still at the behest of the Consumer, which is where mostly the approach of Information and Education fails. How do we nudge people to complete their end of the bargain? How do you enable India’s transformation into a Product Nation. Has our own BCCI not shown a better way? Undoubtedly it has. But first, as Entrepreneurs, each of us need to have a burning desire to become the God of Products. Each of us need to take our imperfect skills/ideas to the field everyday and test them out. Each of us need to play with our local teams, our local communities to build a grass-root movement towards becoming a product nation. Each of us need to learn the spirit of team-play and the benefits of camaraderie. Each of us need to get Involved. When we all do, we will recognize that the external support from Institutions are available to Influence us. How do we go and get Involved? Crowd Sourcing and Talent Recognition: Today we have enough startup pitch sessions, hackathon competitions. Take your skills and ideas there, participate and get recognized. Incubators and Mentors: Just like cricket summer camps and bootcamps, there are camps conducted by many bodies. Product Nation itself is running a boot camp in December. Have you registered yet? There are some systemic gaps, which I am sure Institutions will quickly enable. Infrastructural Interventions are much easier than Motivational Interventions. Organization of Marketplaces: Whether we choose the IPL format, Champions League format or the One-day format, we need marketplaces. Creating the GOD of Products: We need to build and sustain our heroes, who draw, inspire and influence ordinary people to become GOD of products. The true products of a Product Nation are not the Routers, Switches, ERPs, Office Softwares or Productivity Softwares. The true products are the people who believe that we can create a Product Nation. True products are those you perform on a Startup Pitch, with the same intensity that Sachin played on a Cricket Pitch. Inform me and I might forget, educate me and I might remember, Involve me and I will transform, is the mantra. 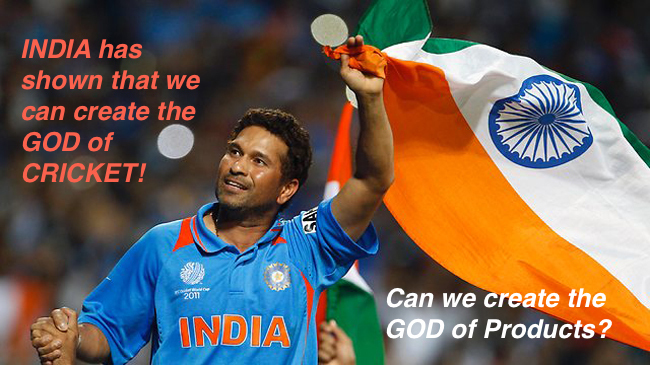 The Cricketing Nation found its GOD of cricket in Sachin Tendulkar. Can a Product Nation find its GOD of products, like Steve Jobs? If you get Involved, its only a matter of time! 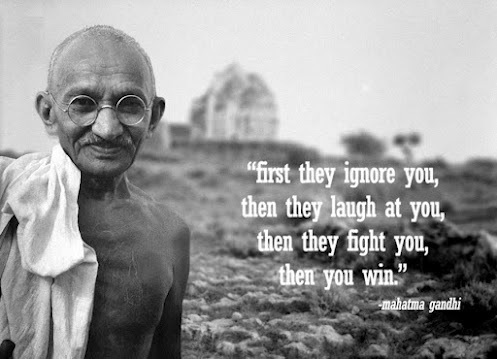 Gandhigiri to the Software and Technology Entrepreneur! Many of us in the software industry, for more than 2 decades have not only been the direct beneficiaries of the opening up of the Indian economy in 1991, but we also pride ourselves for creating an industry that today supports the livelihood of millions of software engineers, bpo executives and call-center operators. But have we done enough, could we have done better? India is today struggling with C.A.D (current account deficit). Simply put, we import more than we export. Some people argue that we have gone back to 1991, in effect, all the glorious 22 years which we think we have created have some how evaporated. If we had spent the past 22 years creating Indian software products, could we have not today exported more than just services, based on labor arbitrage? In fact, I would say its largely because we did not think ourselves as a ProductNation. We became pseudo-intellectuals, happy with the easy money flowing into our economy. Good thing is we can still learn from our legacy. 300 years of British colonial rule, and all the well educated software industry professionals, fail to understand that we are no different than our fore-fathers. Its quite fascinating, and really important to see the parallels outlined below. As software professionals and business owners, its time for us to introspect and learn a little bit of Gandhigiri. Any chapter from our history books will have paragraphs which read like this…..
Indian Economy was transformed into a colonial economy whose nature and structure was determined by the needs of the British economy. India supplied all the raw material required for Britain’s Industrial needs, especially the cash crops like jute, cotton, iron ore, silk, wool. In-turn, became the ready market for Britain’s large-scale finished products which were also cheaper than Indian finished-goods, since they were mass-produced, for e.g. the ready made shirts, pants, sweaters, machines,etc. The economic policies of the colonial government was to reduce India to a feeder economy to Britain’s industrial base and hence with out any domestic policy support, the cottage industries within India were destroyed systematically. Added to that, the zamindari system also meant all profit accruing out of the agricultural sector went to the zamindars instead of the cultivators. High revenue demands and rigid manners of collection forced peasants into the clutches of the moneylenders, who were controlled and financed by the colonial government’s banks. Expanding population put greater pressure on viability and sustenance, and as there was no corresponding domestic development of both urban and rural infrastructure, the economy collapsed and India became a poorer nation. Britain’s policy of trade ruined India’s urban and rural industries. Indian Economy was transformed into a “global” economy whose nature and structure was determined by the needs of the US/Western economy. India supplied all the raw material required for America’s IT/software needs, especially the cash crops like software engineers, creative designers, app developers, analysts, bpo executives and call-center operators. In-turn, India became the ready market for America’s large-scale finished software and technology products, which were also cheaper than Indian-finished goods, since they were mass-produced with patent protections, for e.g. the Office software, ERP software, Accounting software, Routers, Switches,etc. The economic policies of the Indian government was to reduce India to a feeder economy to America’s Technology and Software base and hence with out any domestic policy support, the local software industries within India were destroyed systematically. Added to that, the funding eco-system also meant all profit accruing out of the software/technology sector, went to the venture-capitalists instead of the entrepreneurs. High revenue-multiple demands and rigid manners of exit-funding forced software entrepreneurs into Mergers or Acquisitions by American companies, or to the clutches of the Angels and VCs, who were in turn controlled and financed by PEs or LPs from America. Expanding population put greater pressure on viability and sustenance, and as there was no corresponding domestic need for software/technology in both urban and rural industries, the economy collapsed, the FIIs fled, leaving India poorer. India’s own policy of trade for 22 years, ruined India’s technology and software industry. Well, do I have to take a pessimistic approach and assume that this how its going to be? 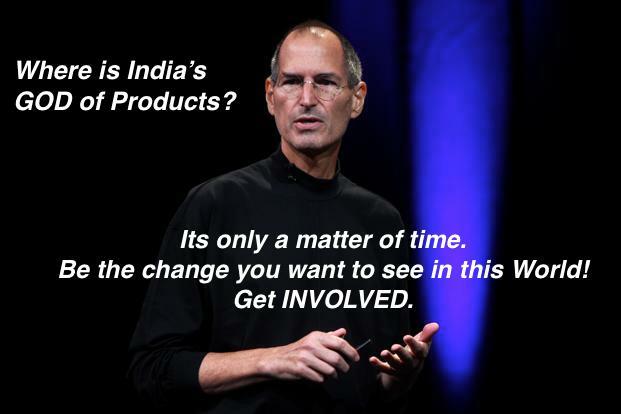 Should we wait for another Mahatma to lead the new movement to becoming a true Product Nation? An emphaticNO. Gandhigiri to the software and technology entrepreneur provides the vision and direction, so we don’t have to go down the same path our forefathers went. We need to be the change the world wants to see. Lets go and create the change, and let initiatives like iSPIRT and ProductNation be the inspiration through which we can channel our aspirations and ideas. Happy Gandhi Jayanthi to all!